The Association for the Study of Travel in Egypt and the Near East, established in 1997, encourages and promotes education and learning with particular reference to the history of travel and travellers in Egypt and the Near East. It brings together anyone interested in the subject, whether a professional academic or not, across a wide spectrum of nations and subject areas. Essentially, the Association acts as a focus for the collection of materials and information and contacts related to its object. In order to promote its aims, the Association holds conferences, seminars, exhibitions, lectures, and visits; it publishes papers, newsletters, books and journals; it initiates and encourages research. 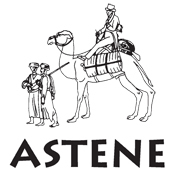 Browse all titles by ASTENE.